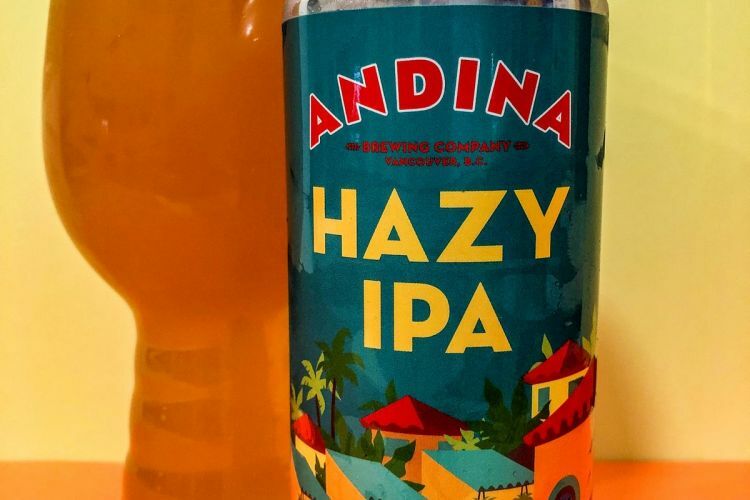 Andina Brewing opened its doors in March 2017 with a new approach to create beers and an atmosphere that was a reflection of the owners, Andres & Nicolas Amaya and their home of South America, right from the painted mural on the outside of their bright yellow building to the ingredients in their beer. With the hiring of head brewer, Ben Greenberg,( from the Callister Co-operative brewing under Night Owl) there has been a slight movement to bring in one of the North American trends – Hazy IPAs! Ben was best know while brewing at Night Owl for his fruit beers, IPA’s and stouts, and he brings his passion of the fruits and hops to this ale. 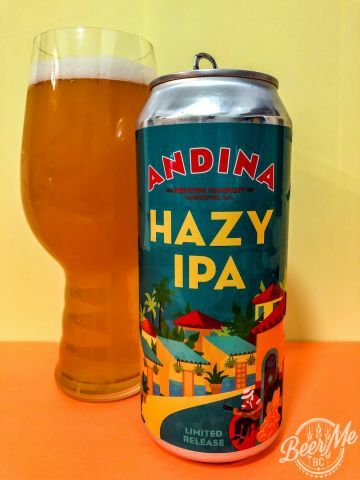 The haziness is created with the addition of wheat and oats to the malt and he uses a blend of Vic Secret, Mosaic and Huell melon to bring out aromas and flavours of pineapple, mango, pine and melon. A flavourful combination but less of a fruit bomb than most hazy IPA’s that are out there in the market today. It’s a limited release, so it may be challenging to find, but chances are there will be more in the future. A limited release that is worth grabbing if you can find one, but don’t let it sit in ypur fridge- drink right away!